View More In Boats & Ships. It was a night to remember—when the “unsinkable” ship sunk. 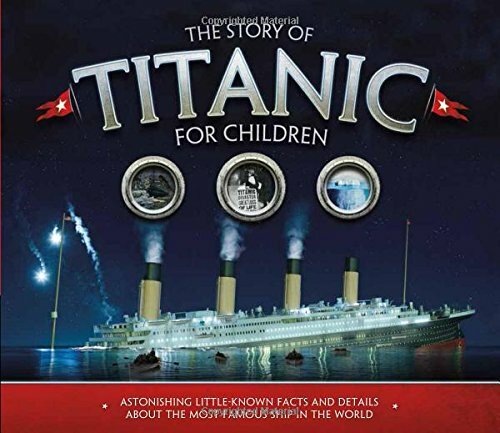 Introduce children to the unforgettable story of the Titanic. More than a century after it crashed into an iceberg, the Titanic remains as compelling as ever. Now children can explore its beautiful sundecks, marvel at the luxurious design, and relive the tragic sinking of the world’s most famous ship. Rich in visual detail, this insightful look at the unfolding disaster will hold kids spellbound with intriguing facts and real-life stories. If you have any questions about this product by Carlton Kids, contact us by completing and submitting the form below. If you are looking for a specif part number, please include it with your message.